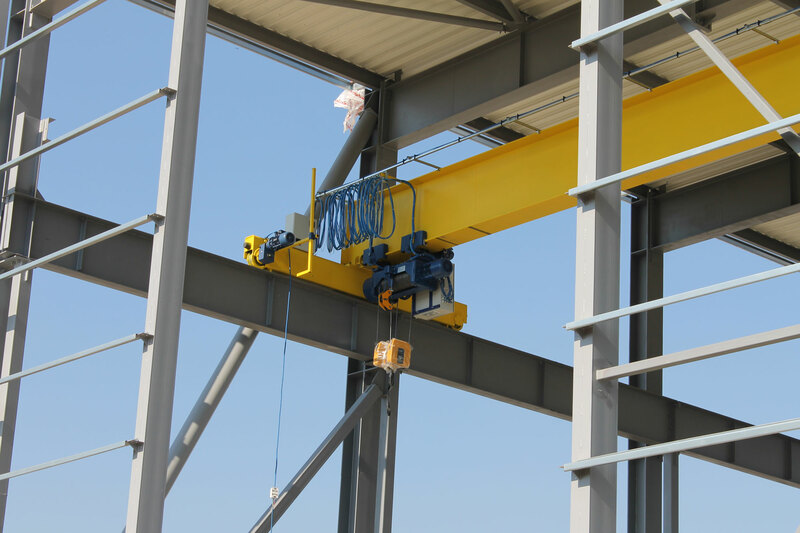 Current source (power) of the crane and its components - an important element in the selection of a complete set of crane equipment. 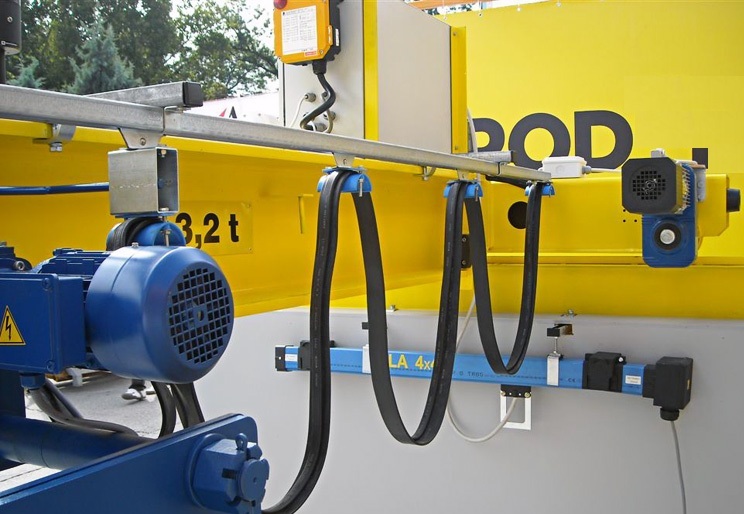 At the heart of the current lead - string (wire rope), turnbuckles and tension knots, Cable trolleys. 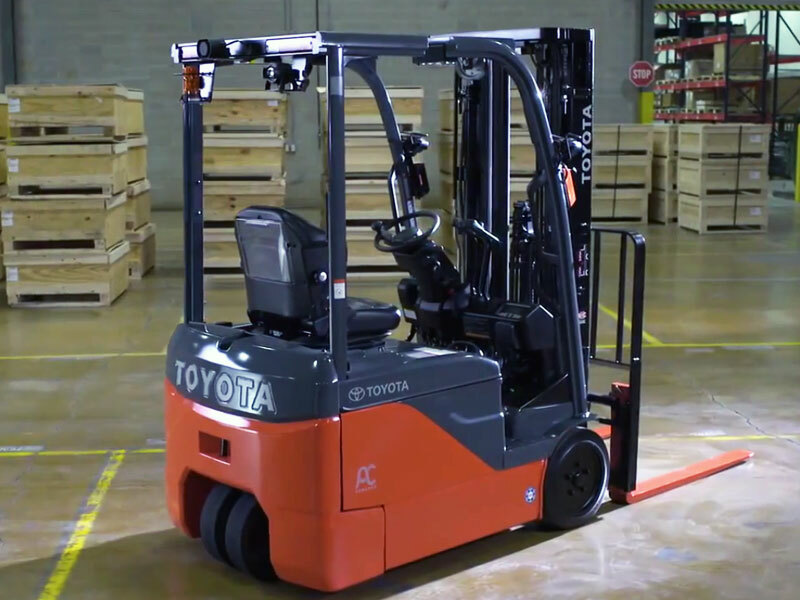 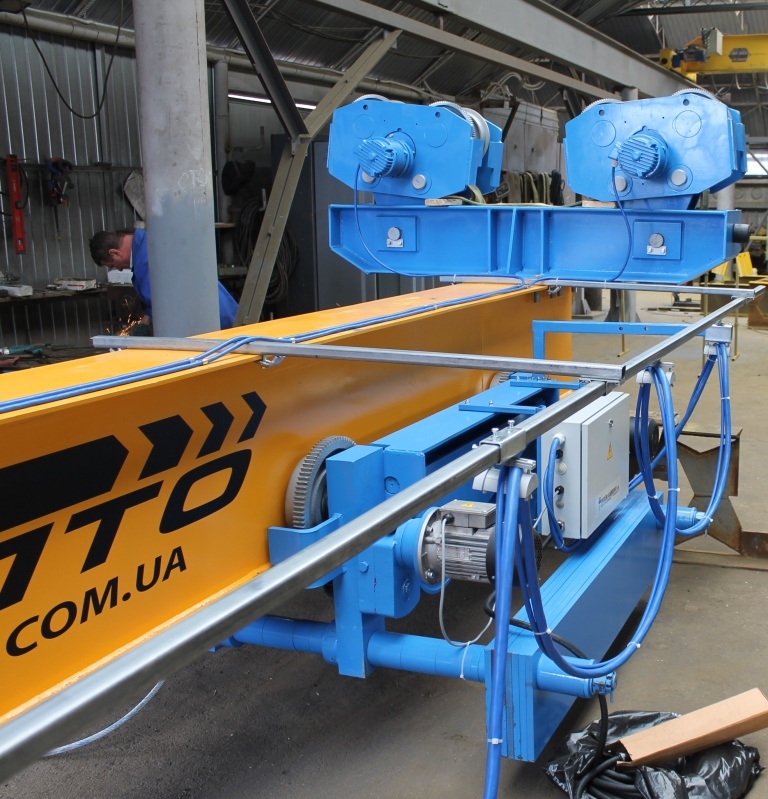 Cable trolleys are equipped with a roller bearing to move along the string. 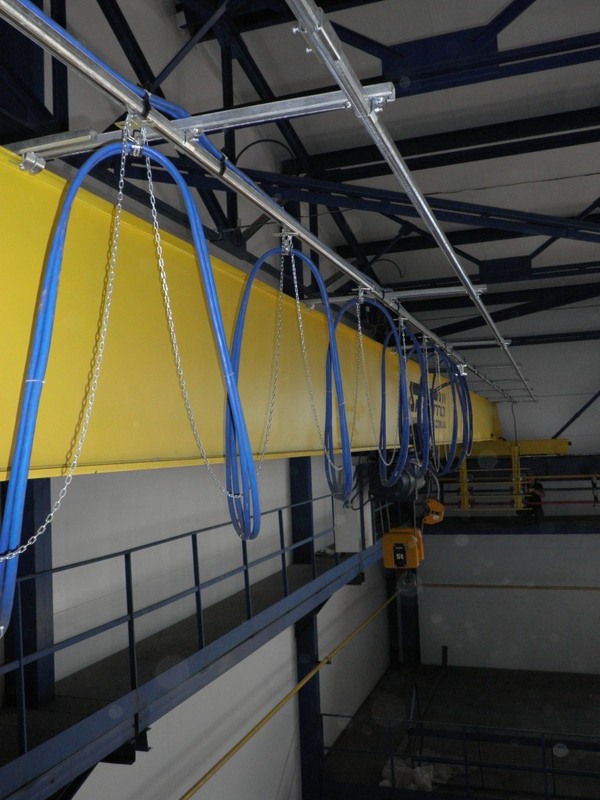 Cable tokodpodvod on cable carts is the easiest and at the same time the most profitable and frequently used method of power, which uses lightweight cable and a small movement speed. 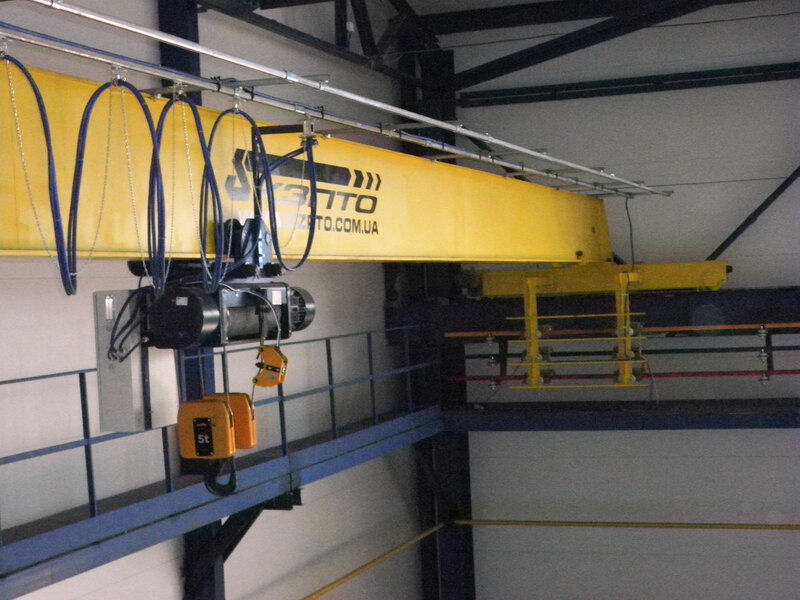 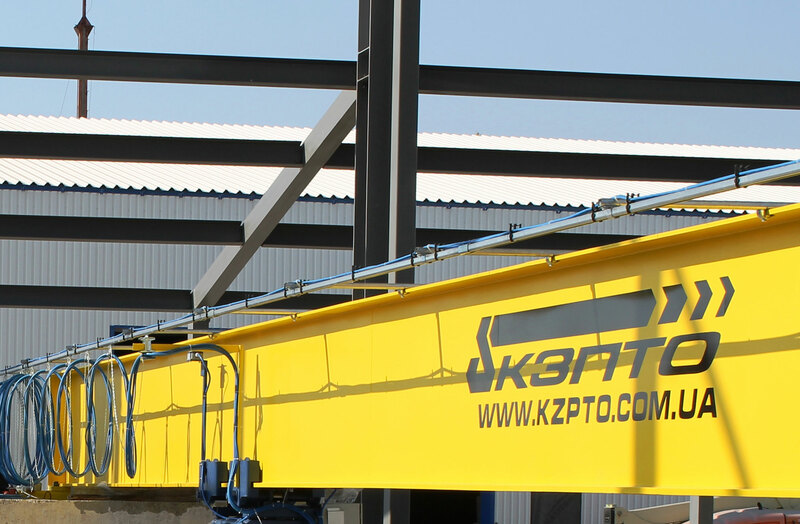 The optimal solution for crane beams supply hoists, Jib cranes with long path to 25,0m. 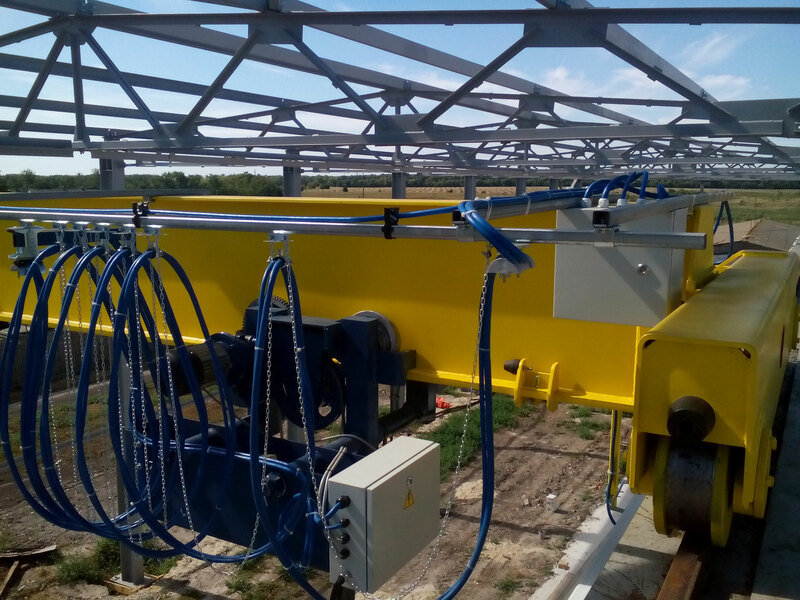 Cable support system on the hard profile is designed to supply power cable for mobile consumers and a control signal to the executing mechanisms. 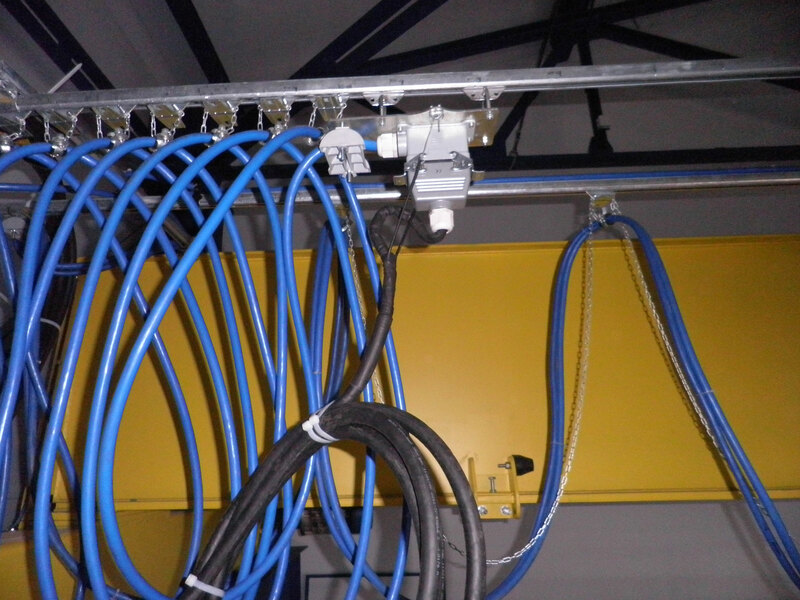 Two versions are available: for flat and round cables of different sections. 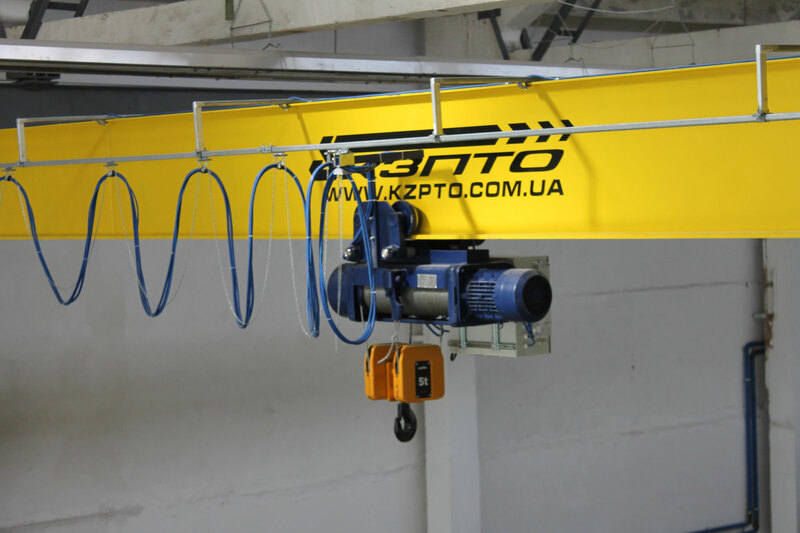 removal of the control signal from the pendant control with the function of moving the remote control regardless of the executing mechanism (hoists, crane trolleys) can be arranged.